Cute Romantic Lines Girl: Promise me you will ask me to marry you one day? 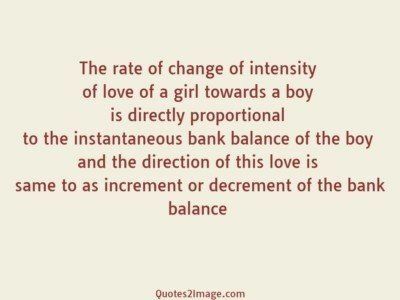 Boy: Only on one condition. Girl: What? 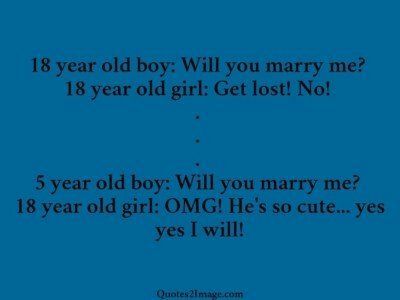 Boy: Promise me you will say Yes.. ! 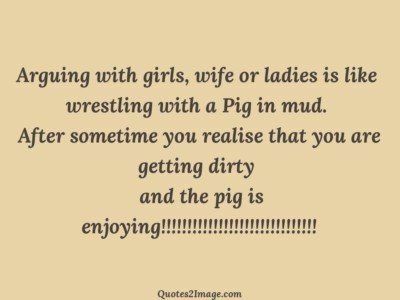 A peach of a girl is picked by the man at the top of the ladder! When a girl is alone, it’s not an opportunity, it’s a responsibility! 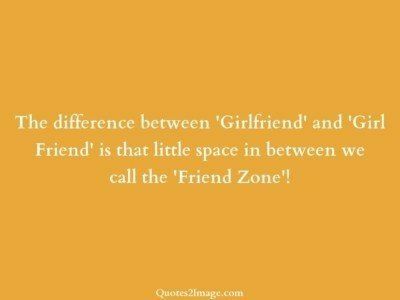 The difference between ‘Girlfriend’ and ‘Girl Friend’ is that little space in between we call the ‘Friend Zone’! 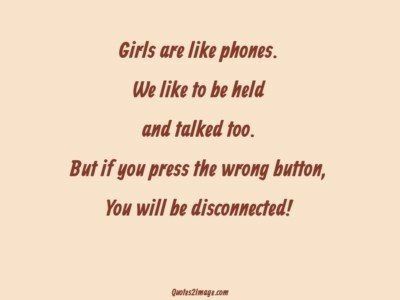 Girls are like phones. We like to be held and talked too. But if you press the wrong button, You will be disconnected! 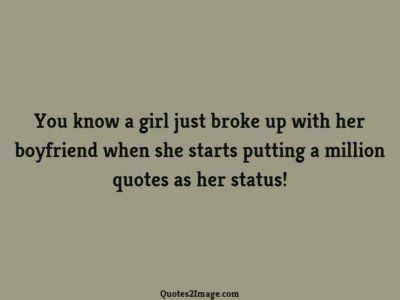 You know a girl just broke up with her boyfriend when she starts putting a million quotes as her status!